and in order to work towards ensuring this becomes a reality, various actions or procedures have been instigated. One initiative is the setting up of a Parent Council. 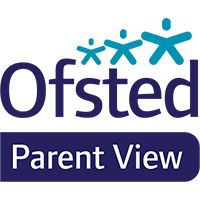 We genuinely wish to seek, and take account of, parent’s views and involve them as much as possible in life and work of the school. Research has shown that children behave better and achieve more when their parents are involved in their education. Concerns can be resolved more quickly when parents have a good relationship with the school. The Chair of Governors will have an open invitation to meetings. Any parent is welcome to attend meetings in addition to the named year representatives/core group. Meetings will be chaired by the Headteacher or Head of School. Parents wil be reminded of meetings in advance and issues to be raised at the meeting forwarded to reps for the next agenda. For our terms of reference, click here. As part of our Parent Council meeting we have appreciated feedback from parents and direction on how to make your school even better. Applying for the UNICEF 'Rights of the Child' has been one area we have been considering. Parents would like the 'Rights of the Child' award to be a community raised focus.